The two guest speakers Lt. Col. Richard Courtney & Civil Air Patrol Cadet Corinna Dennen. Corinna's mother Pamela Dennen was also present. Anne DeLorenzo was a representative corporate-member of Brightview Commons. 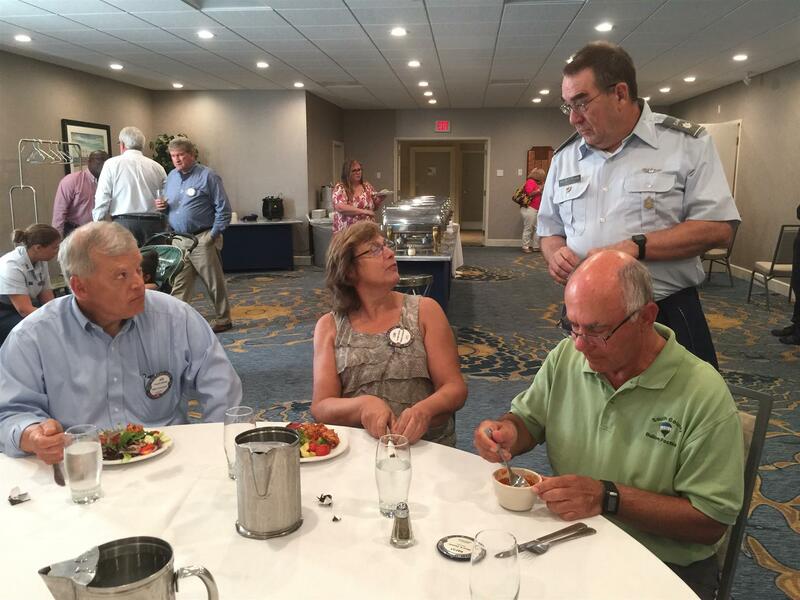 And Joe Picano, a visiting Rotarian, from the Cranston Club was also in attendance.